Like the maelstrom of political media, 2018 was also an eventful year for anthropology. Anthropology Twitter was kept occupied with conversations about the rejection of an apolitical research agenda, the power dynamics of citations, and #HAUtalk. 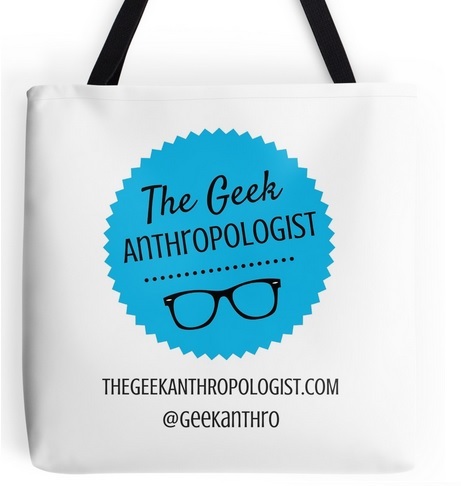 Coalitions like #MeTooAnthro released training materials to address ongoing debates regarding harassment and assault within both academic and fieldwork settings, while podcasts like The Familiar Strange, This Anthropological Life, A Story of Us and Anthropological Airwaves continued to generate new ethnographic followers. Experimental conferences like Displacements afforded new forms of accessibility and engagement through virtual means, and the AAA’s grappled with union organizing, as well as the physical and epistemic fires in San Jose. Anthropologists were increasingly featured in journalism and public media covering issues like border security and migrant rights, reproductive justice and the compassionate conservatism of the carceral state, and the Anthropocene. To celebrate the close of what might be remembered as the year of destabilizing efforts, TGA’s editors have selected our favorite posts of 2018. Why I love it — Jennifer’s writing is engaging, her classroom activity is creative and interesting, and her description of the activity is clear enough that the pedagogical value of the activity is evident and interested parties would be able to adopt a version of it into their course. From a pedagogic standpoint, I like that the activity meets students where they are with an activity that is familiar, engaging, and intentionally enjoyable and draws upon pop culture material with which they are familiar to help them work through and/or review course conceptions and new materials. Furthermore, activities or events-rather than just an exam-which permit students to demonstrate their knowledge of course concepts in different ways marks a valuable and fruitful educational shift. Since TGA’s inception, we’ve cultivated projects that use genres like science fiction to demonstrate the saliency of ethnographic theory, while using the speculative to push anthropology to engage with alternative modes of imagination and methodological orientation. The Celestial Ethnographers perfectly captures this polyvalent approach to geek studies, reminding us, yet again, of why Star Trek remains such an evocative form of entertainment, ethics, and ethnographic worldbuilding. Kirkland and Rivers not only dwell on the complicated positionalities and forms of knowledge production surrounding the role of a xenoanthropologist–they also undertake an analysis of non-human anthropology through the tardigrade, a growing sub-discipline that challenges human-centric approaches to the Anthropocene and pushes practitioners to reflect, again, on what or who gets constituted as conscious, civilized, and capable of both study and collaboration. What kinds of life are not only possible, but how are our constructions of life necessarily marked by epistemic ruptures or gaps? Kirkland and River call upon us to consider the future of anthropology under alien conditions. Looking back over the posts we’ve had at TGA this year, I was almost startled to find how much “Toying with Our Teleologies” has worked its way into how I think about anthropology on very foundational levels. More than that, I think it almost prophetically taps into a strong current that is reshaping the landscape of anthropology. “The strange tool of SF works,” they declare, “as a technology of alternative selves, a speculative instrument, a fantastical lens, a danger detector, and a wisdom machine.” I saw this sentiment all over the 2018 AAA meetings, in the speculative Afrofuturist ethnology of Wakanda University, in the Society for Humanistic Anthropology’s Ursula K. Le Guin jam session, and in the enthusiastic response to AnthropologyCon’s #AmAnth2068 design fiction project. You can even see “the strange tool of SF” in less obviously connected threads of 2018 anthropology-as Emma pointed out in October, there is something distinctly Lovecraftian about the metastasized teratoma of corrupt intellectual power that #Hautalk is confronting, but there is also some beautiful speculative work being done in that conversation in order to imagine a different future for anthropology. Each of the individual analyses in Chandrasekaran et al’s post is insightful and intriguing, but to me the brilliance of it is the way that they so effectively encapsulate this important moment we have been living in where a new infusion of speculative, radical, SF-laden energy is attempting to reshape anthropology from the twisted roots on up. Since I began with TGA I’ve had to spend quite a bit of time combing through our posts to become more familiar with the material and our style. Each piece has something unique about it, something that breathes life into topic at hand whether it discusses the final frontier or our own backyard, and so this choice was rather difficult. To be honest I like all of our pieces. However, I chose Anderson’s because we published it around the same time that I happened to be taking a deep dive into the theory on horror and reading The Philosophy of Horror or the Paradoxes of the Heart by Noel Carroll. Carroll defines horror by its monsters and discusses the ways in which these monster’s comment on society. Anderson’s take on the beauty of Kaiju, a classification of monster I had not thought about previously, their power, and their “necessary” destruction was thought provoking to say the least. Honestly, I had never thought to classify Godzilla and Monster vs. Aliens in the same category, however, given the insight that their destruction is not about protection, but instead about control, listing these movies together flipped my own perception about both films. These new realizations are what I love about the pieces on TGA more broadly, they make me think in new ways, changing assumptions I didn’t even know I had. What were some of your favorite posts of 2018? Let us know!